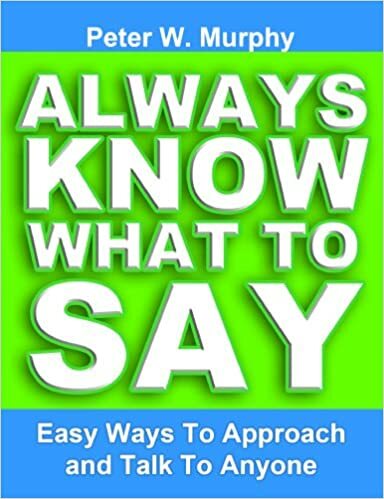 “Always Know What To Say” is for anyone who wants a straight to the point explanation of conversation skills fundamentals. I point out key distinctions you can apply right away to go from being tongue tied and unsure of what to say to having fun meeting people and getting to know them better. If you read AND apply what I cover in the book you`ll make steady progress and become much more at ease talking to people.